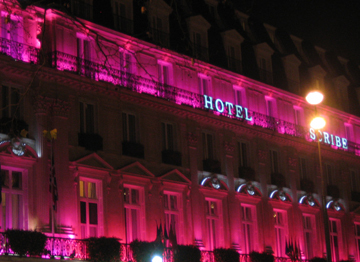 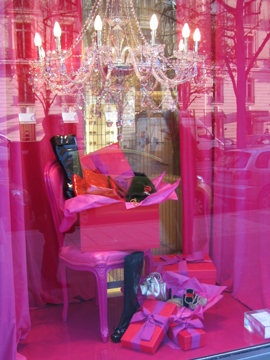 I just got back from Paris where EVERYTHING for Christmas was hot pink! 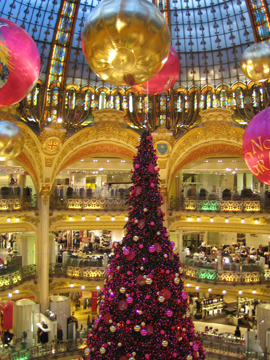 I had never been in Paris at Christmas time before so it was wonderful just to wander around and see all the gorgeous architecture adorned for the season. 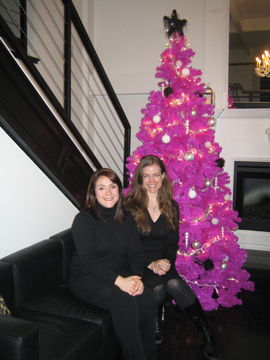 Last year we got a hot pink Christmas tree for the office – which Kim & I just put up the other day – it’s nice to know that we were ahead of the trend!